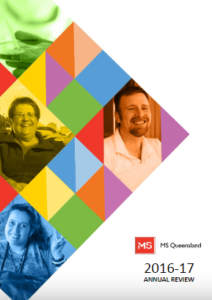 MS Queensland is a registered non-profit organisation that is the first-choice for MS information, education, treatment, care and support across Queensland. Our vision is a world free from multiple sclerosis (MS) and its devastating impact. We exist to help people living with MS to get the best out of life; to advocate for change and to search for a cure. In Queensland, nobody has a better knowledge of the disease nor assumes a greater role in education and raising awareness of MS than us. We play a pivotal role in quality control and ensuring that people with MS are having their needs met, and in advocating on their behalf. Our promise is to put our customers’ well being at the centre of everything we do. We will achieve this by being accessible – there when and how we’re needed, flexible – understanding that situations change, authentic – approachable and real and connecting – giving you the support you need. Our values of Respect, Hope, Commitment and Collaboration were chosen by our staff and ring true in all we do. RESPECT: people really matter to us and so we show respect in all our relationships and interactions with others. HOPE: we never give up offering real hope, no matter how long it takes or how challenging the situation. COMMITMENT: we always do our best for our clients, our organisation and for each other. COLLABORATION: we believe the way to achieve great results is by working together. A comprehensive list of behaviours has been created by our staff to help guide staff and volunteers to live-out the new values of the organisation. those affected for as long as they want our help. Gerard has been the CEO of some of Australia’s largest and most complex not-for-profit organisations for over 30 years. Most recently, Gerard was the CEO of Make a Wish Foundation. Gerard is big on change that unites people. He has an exceptional record of taking organisations to the next level. With Gerard’s heart and passion, we aim to make changes that will continue to put our MS and PND community at the forefront of everything we do to ensure that no one faces their disease alone. The team in the Office of the CEO support the important strategic work of the organisation driving both our strategic direction and culture. 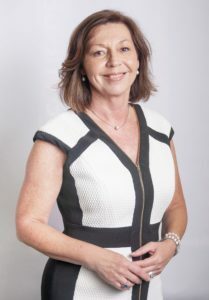 Karen has more than 25 years’ experience working in the not-for-profit sector and has held positions at senior management and deputy CEO level. Karen is dedicated to not-for-profit work because of the added focus on community involvement and excellent service provision. Our service delivery team are a dedicated and passionate group of professionals whose goal is to improve the lives of people living with MS and other progressive neurological diseases by providing coordinated, caring and quality support. Dan started his not-for-profit career in 2011 as a fundraiser and then moved into the corporate partnerships areas of fundraising. 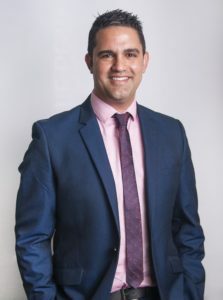 Dan has managed award-winning fundraising events for MS Queensland for many years and now oversees the fundraising team responsible for raising over $8 million annual to ensure no one faces MS alone. Our fundraising team are an energetic and creative group of people who raise funds and awareness to support the services we provide to people living with MS and to fuel research to find better treatments and ultimately a cure for MS.
Prue has significant corporate and not-for-profit experience in both national and regional locations with a marketing and events focus. 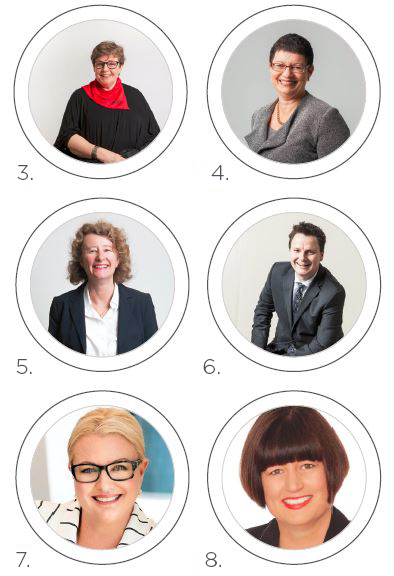 Since 2009, Prue has worked solely in the not-for-profit sector leading many talented and diverse teams. Our Customer Experience team is a dynamic and creative group whose role is to strengthen our customer mindset and champion our customer first approach. Zane has over 14 years’ experience spanning public practice, manufacturing, retail and the not-for-profit sectors. Zane is driven by the motivation of providing a better society for future generations. 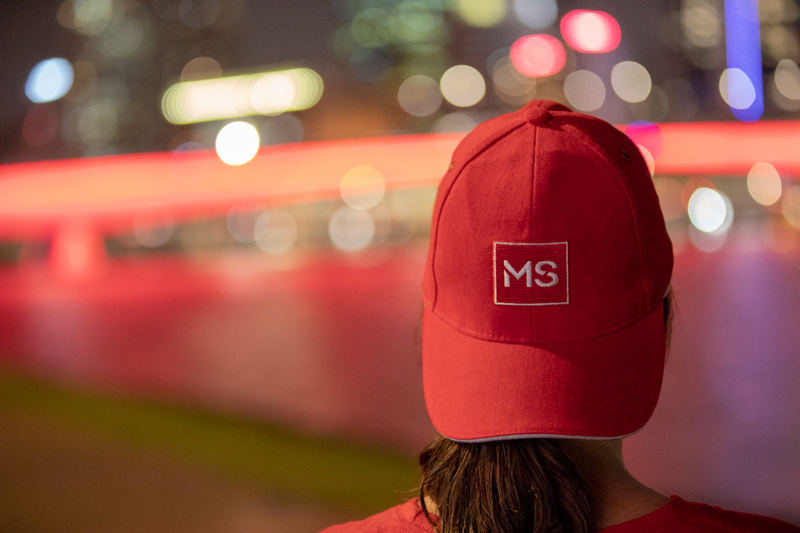 Zane’s vision is to actively shape the support offered to customers and their families, advocates and searches for a cure in a pursuit of a world free of MS.
Our Corporate Services team supports the important work of our other teams by providing finance, HR, IT and facilities support. The team makes sure everyone can do their jobs smoothly and efficiently. 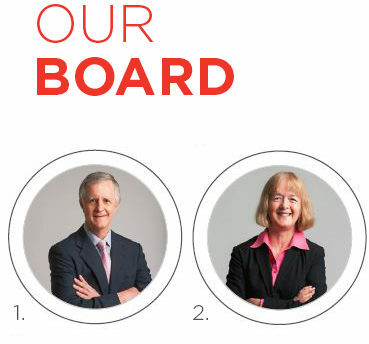 Our Board establishes the organisation’s strategic direction, monitors progress towards the achievement of our strategic objectives and performs a very important governance function for the organisation. Director and Vice-President of MS Australia. Solicitor. Director of Burrell Stockbroking Pty Ltd and related entities. Director of Access Funds Management Limited. Consultant to QM Properties and Property Solutions. Former partner of Clayton Utz (1987 2000) and Phillips Fox (2000–2006). Fellow of the Australian Institute of Company Directors. Non-executive Director and Corporate Tax Consultant. Non-executive Director of Handball Australia and a number of private companies. Fellow of the Institute of Chartered Accountants Ireland, Australia and New Zealand. Member of the Tax Institute of Australia. Graduate of the Australian Institute of Company Directors. Former Partner of PwC Australia. 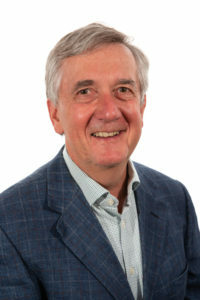 Chair and non-executive director of various Boards and sub-committees. Marketing and corporate strategy specialist. Principal of CM Strategy Consulting. Graduate member of the Australian Institute of Company Directors. Commissioner of the Queensland Building and Construction Commission. Fellow of the Governance Institute of Australia. Graduate of the Australian Institute of Company Directors. Certified Fraud Examiner. Masters of Business Administration and Bachelor of Education. CEO and founder of Steam Capital. Former Associate Director MBA, UQ Business School. Co-chair of the MBA Career Services and Employers Alliance 2017 Asia Conference (Shanghai). Held previous board Directorships with Tourism and Events Queensland and the Celebrate Queensland Committee (Australia Day Council Queensland). 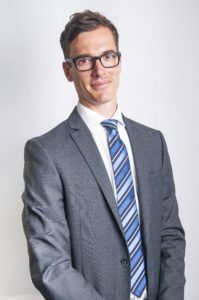 Graduate member of the Australian Institute of Company Directors. Masters of Business Administration. Development Manager for Museum of Brisbane. Fundraising and marketing communication specialist. Former General Manager External Relations at QIMR Berghofer Medical Research Centre. 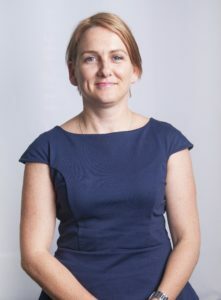 Former non-executive director of Epilepsy Queensland (until November 2017). Member of Australian Institute of Company Directors. Our review this year features the highlights and progress achieved during the 2016-2017 financial year. 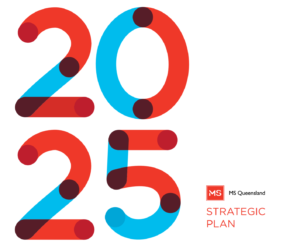 Some noteable highlights of 2016-17 include: expanding our service offerings to people living with other progressive neurological diseases, through our multi-partner SPARK NeuroCare initiative in Townsville, completing two new housing projects for 15 residents in Lutwyche and Albany Creek, seeing the 10-patient Epstein-Barr Virus (EBV) Clinical Trial for MS at the Royal Brisbane and Women’s Hospital almost reach completion, and making great progress with our bold Project Dignity 120 housing initiative, commencing construction of our first project at Springfield. ‘Independence’. Six people living with MS tell their stories in the report, sharing how they achieve and maintain independence and respect and how they get the best out of life. 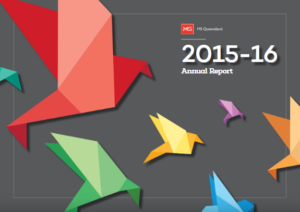 To request a hard copy of any of our annual reports or earlier annual reports, please contact us. 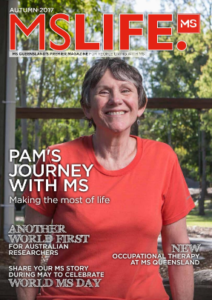 This edition of our MS Life magazine celebrates our 60th birthday and is dedicated to all of our MS community. 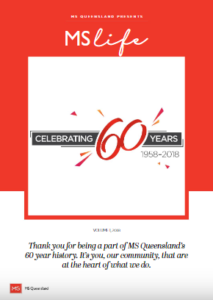 Thank you for being a part of MS Queensland’s 60 year history. It’s you, our community, that are at the heart of what we do. On the cover of this edition is Anne-Marie who doesn’t let her MS stop her. 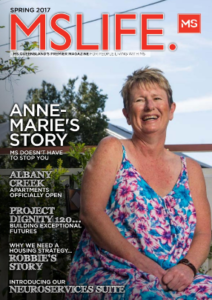 Anne-Marie has lived with MS for 26 years but is incredibly positive and ecourages other people with MS to “try not to let it rule your life.” Other news includes the opening of our Albany Creek Apartments, the launch of our Project Dignity 120 initiative, and introducing our NeuroServices Suite. determined not to let her diagnosis impact her job as a teacher aide or get in the way of her spending time with her much loved grandchildren and travelling the world. Other news includes World MS Day, NDIS updates and a research breakthrough.